This multimedia tool provides insight into adolescent brain development, giving parents answers to the common question, “why does my teen act this way?” Learn about brain development, teen behaviors and how drug use impacts the teen brain and mood. Because their brains are not fully developed until 22-25 years, adolescents are more susceptible to risk-taking behaviors and also more susceptible to long-term brain changes resulting from substance use. Similarly, promoting positive development activities (sports, music, etc.) during this timeframe has long-term positive impacts on brain development. Parents of young adolescents (12-16) and parents of older teens/young adults (17-25) may gain the most from this resource as it provides context around teens’ behavior based on the make-up of their brains, tips about how to distinguish the difference between “typical” teen behavior and drug or alcohol use, and how to encourage healthy risk taking and behaviors. 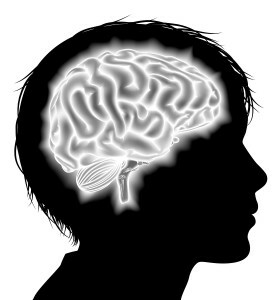 The development of the adolescent brain and behavior are closely linked. Hormones play a big role and can shift your teen’s emotions into overdrive, leading to unpredictable – and sometimes risky – actions. Consequently, developing brains may be more prone to damage which means that experimentation with drugs and alcohol can have lasting, harmful effects on your teen’s health. Zeigler, D.W., et al. (2005). The neurocognitive effects of alcohol and college students. Preventive Medicine, 40(1):p. 23-32. Hanson KL, Medina KL, Padula CB, Tapert SF, Brown SA. (2011). Impact of Adolescent Alcohol and Drug Use on Neuropsychological Functioning in Young Adulthood: 10-Year Outcomes. Journal of Child Adolescent Substance Abuse, 20(2), 135-154. Kandel, Denise B., Kazuo Yamaguchi, and Kevin Chen. Stages of progression in drug involvement from adolescence to adulthood: further evidence for the gateway theory. Journal of Studies on Alcohol and Drugs 53.5 (1992): 447.